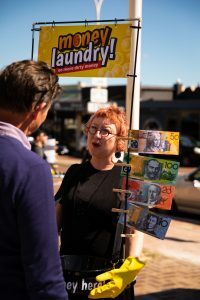 tiny revolutions is a call to arms to develop a series of micro actions to some of the most overwhelmingly urgent issues we face in the 21st century. 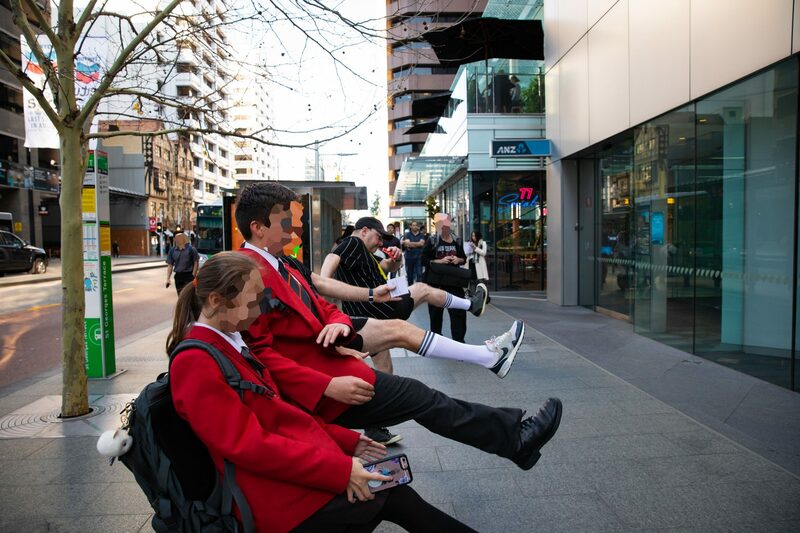 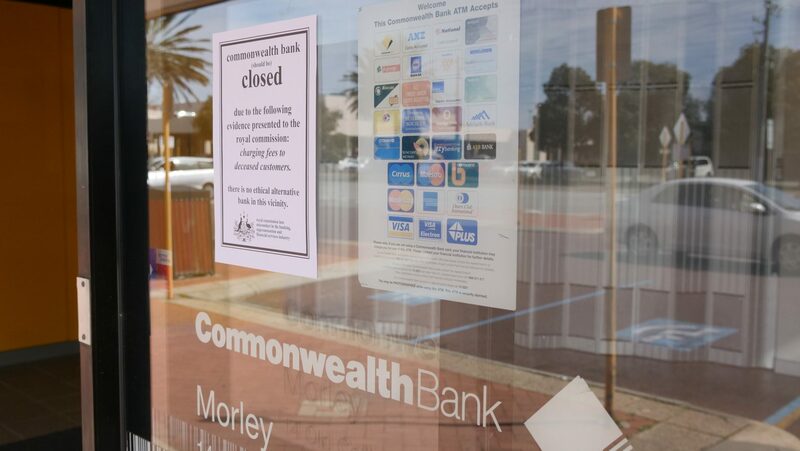 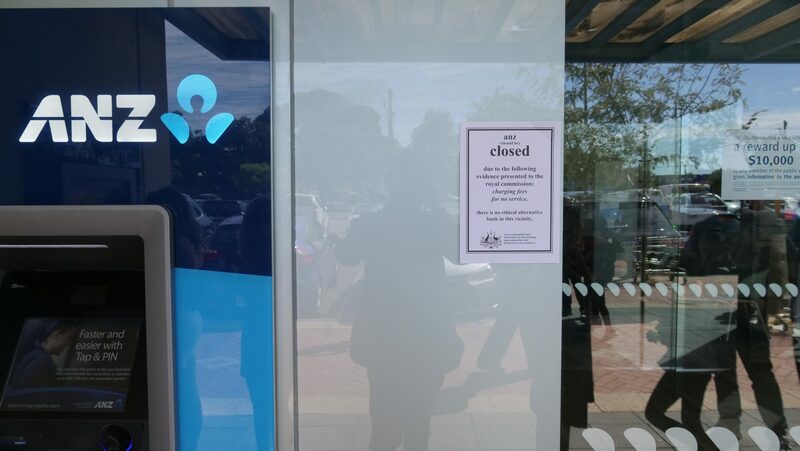 from climate crisis to immigration policy, economic meltdown to the banking royal commission, the weight and severity of our local and global realities feels impossible to tackle. instead of carrying the anxiety, pvi invites members of the public to submit an epic issue to our tiny revolutions task force, who will then take it to the streets in small but impactful ways. tiny revolutions explores the potential for small, but strategic acts of civil unrest to unearth our own power. 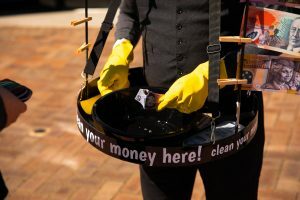 by activating old and new methods of creative action, this work serves to transform our collective anxieties about the future into positive action. 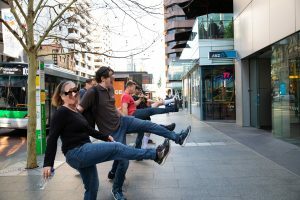 52 artists 52 actions, artspace, sydney, nsw. 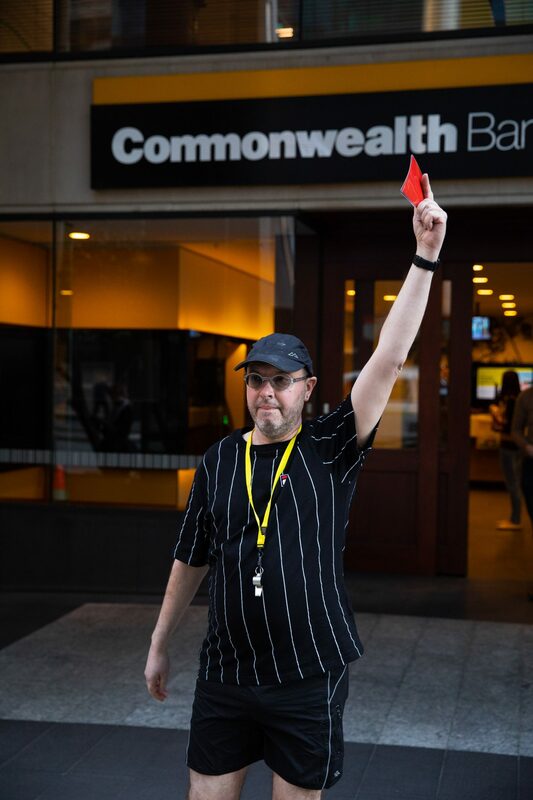 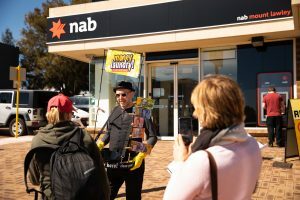 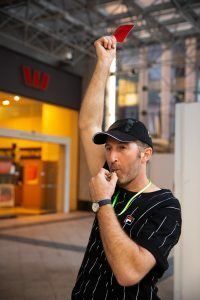 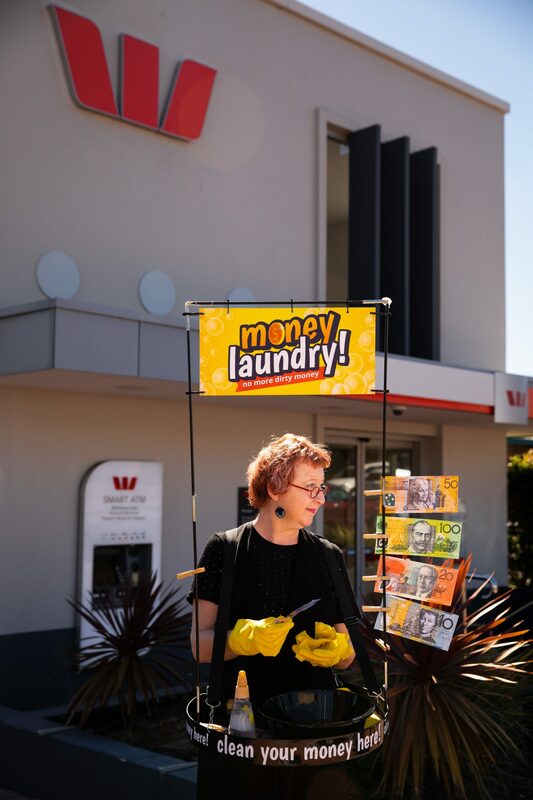 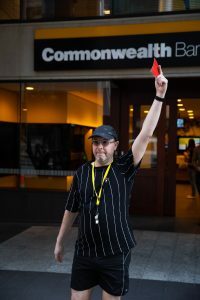 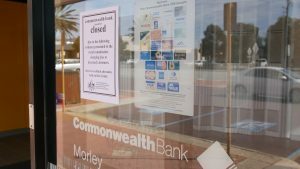 august 2018.
for our actions, we looked into the banking royal commission hearings. 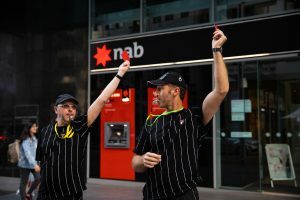 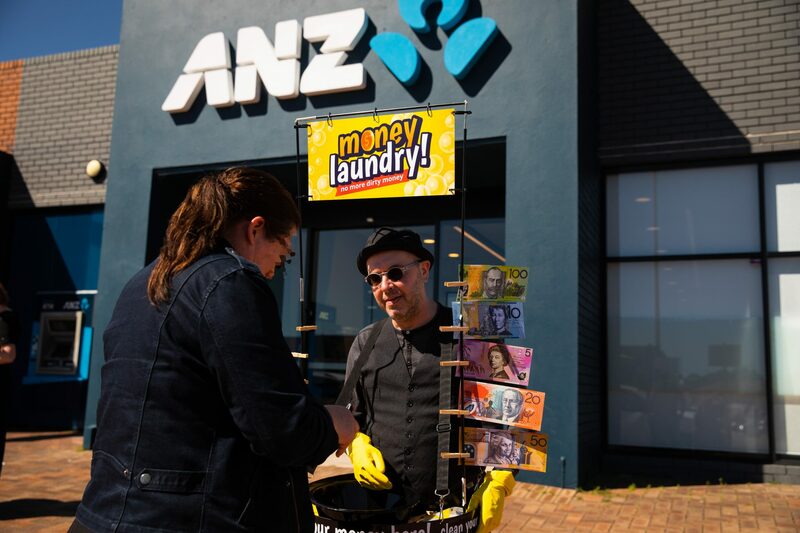 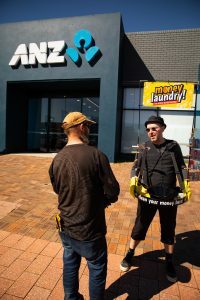 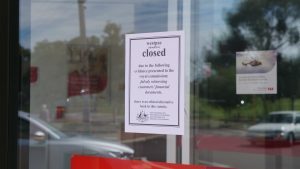 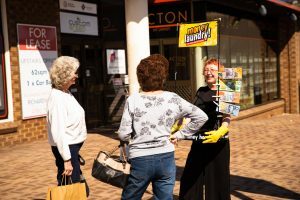 they revealed tales of reckless lending and gross foul play in the banking, superannuation and financial services industry. 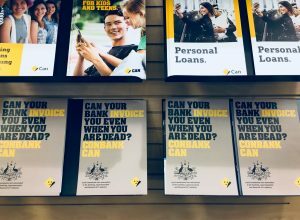 from bribery rings, to charging dead people, forged signatures and fraudulent financial advice, it is waaaay worse than we thought. action: truthful advertising campaign. 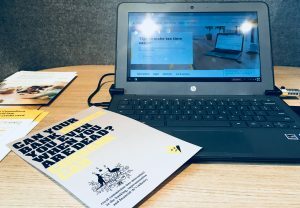 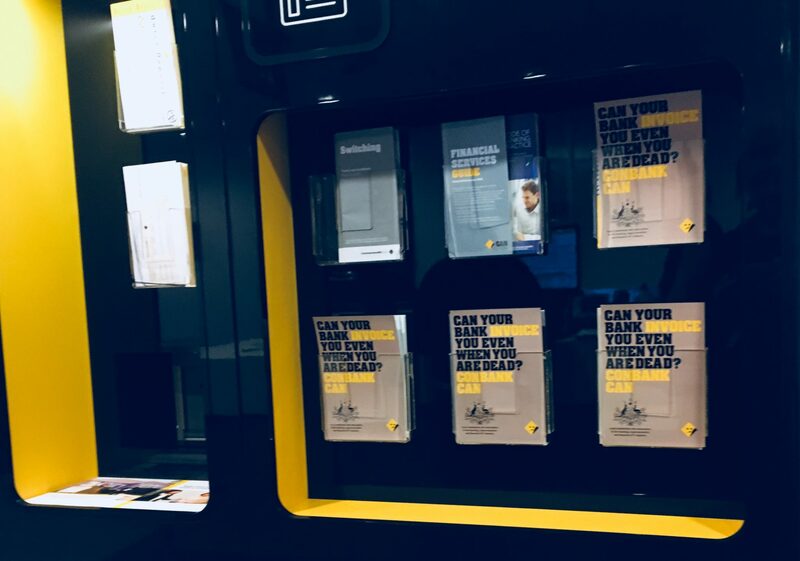 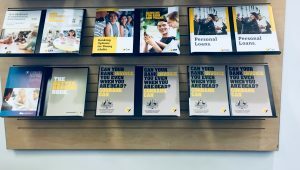 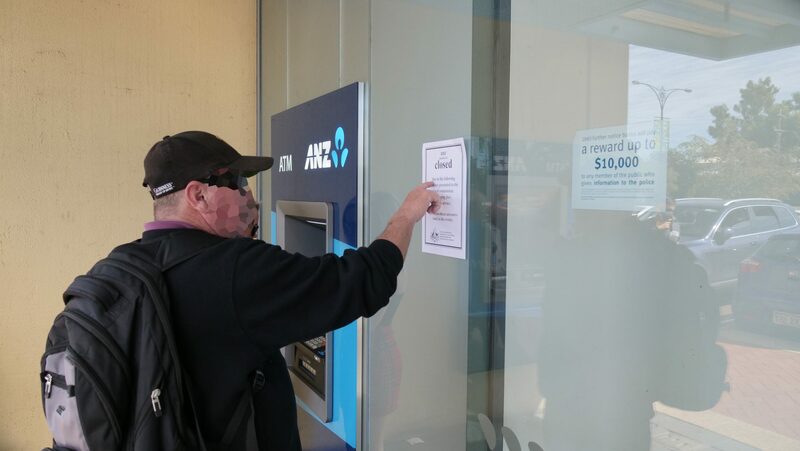 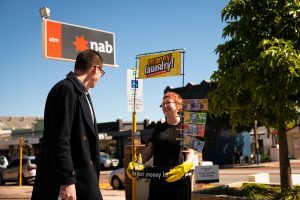 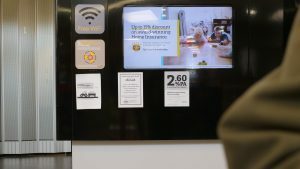 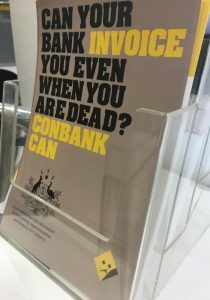 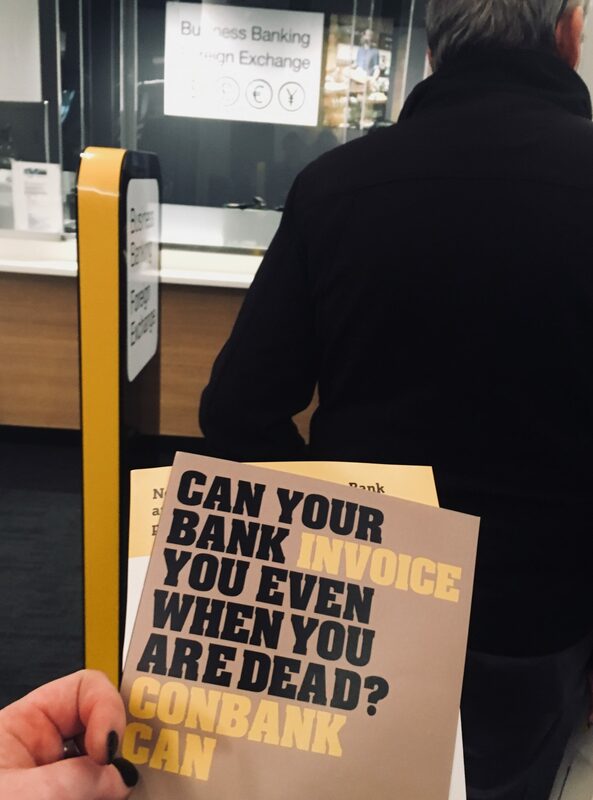 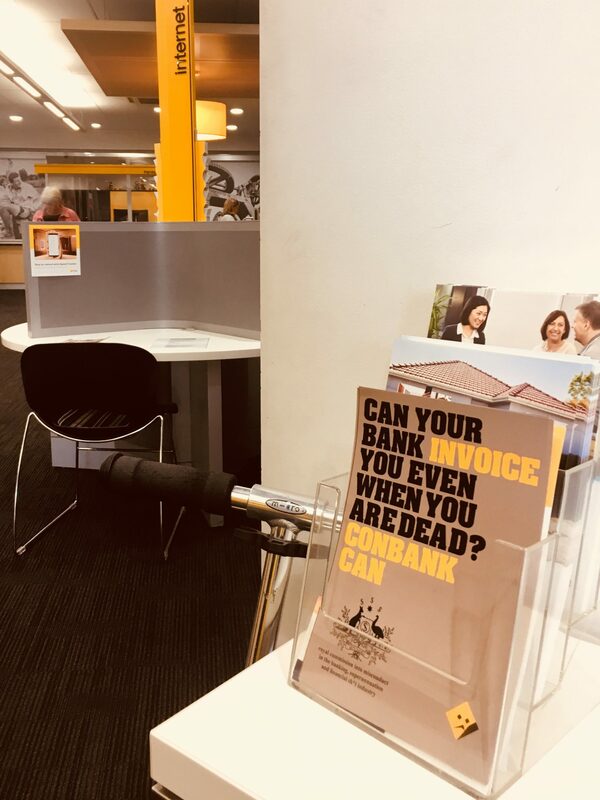 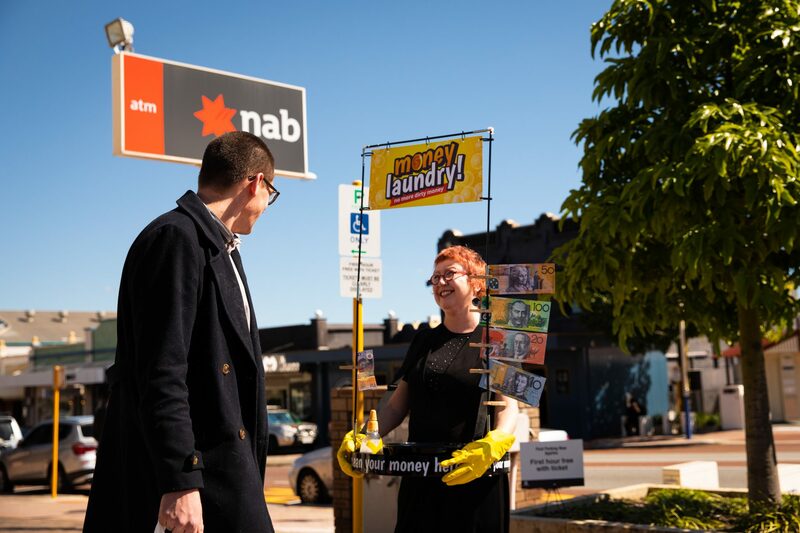 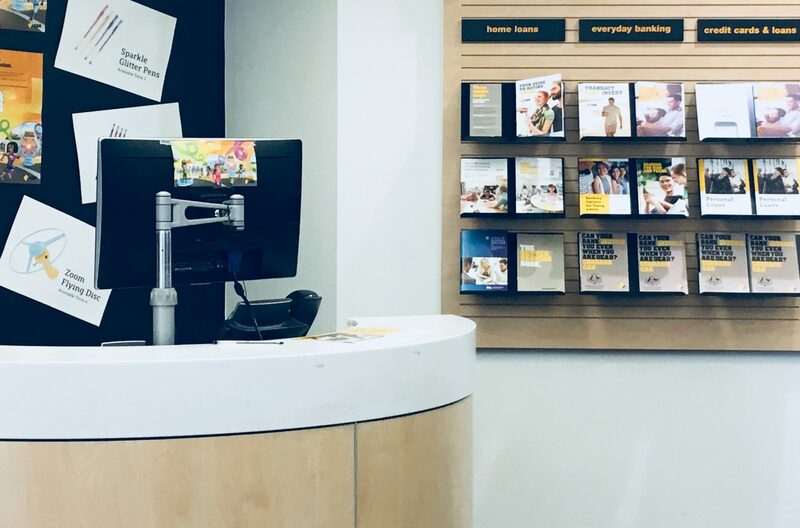 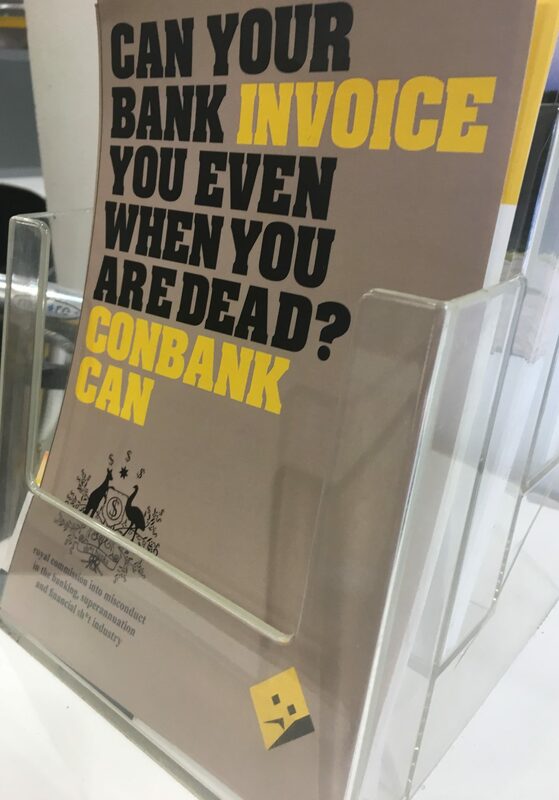 place ‘conbank’ alternative advertising campaign flyer inside commonwealth bank branches. 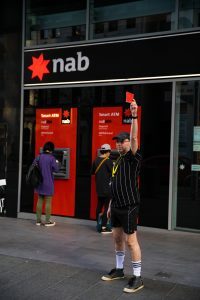 action: call foul on the bankers. 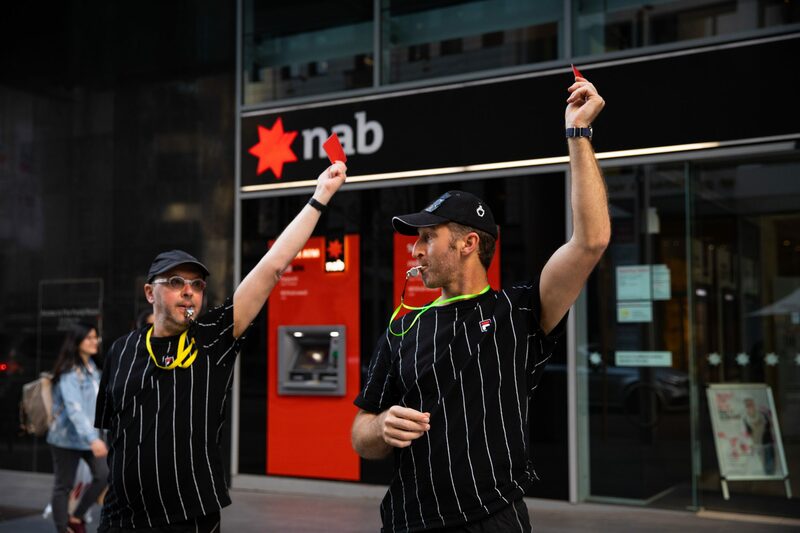 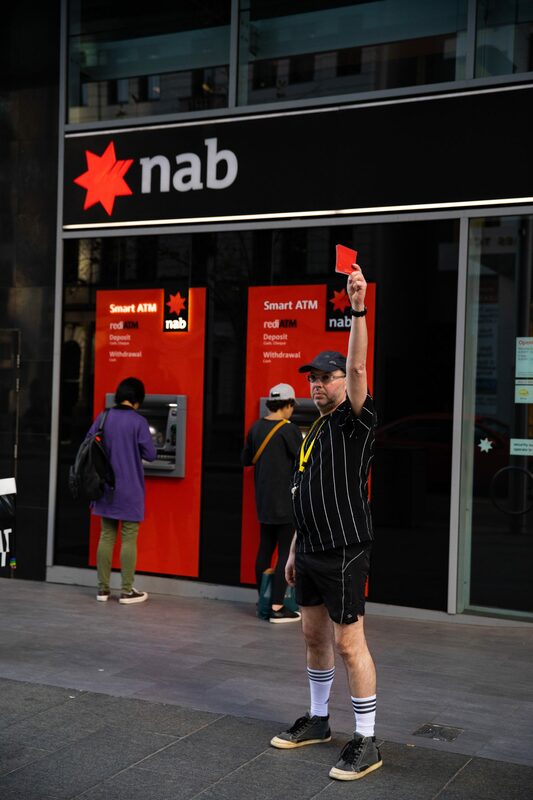 station yourself outside a local bank dressed as a referee with whistle and red card. 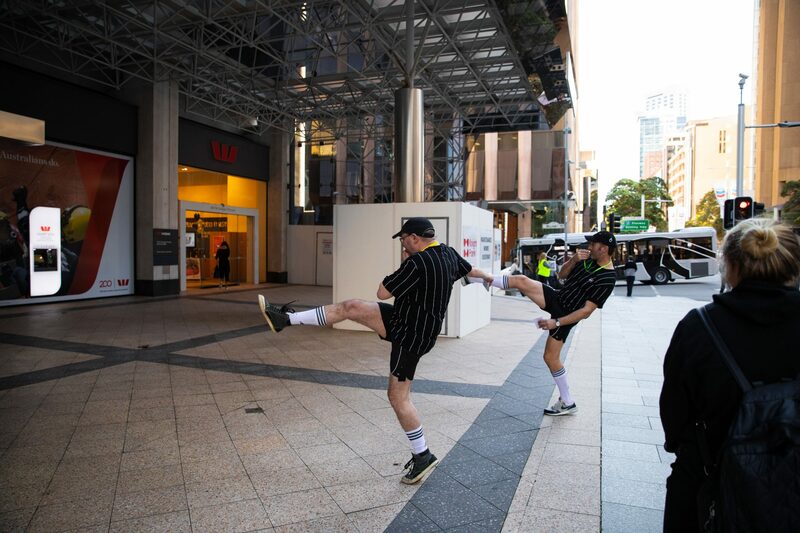 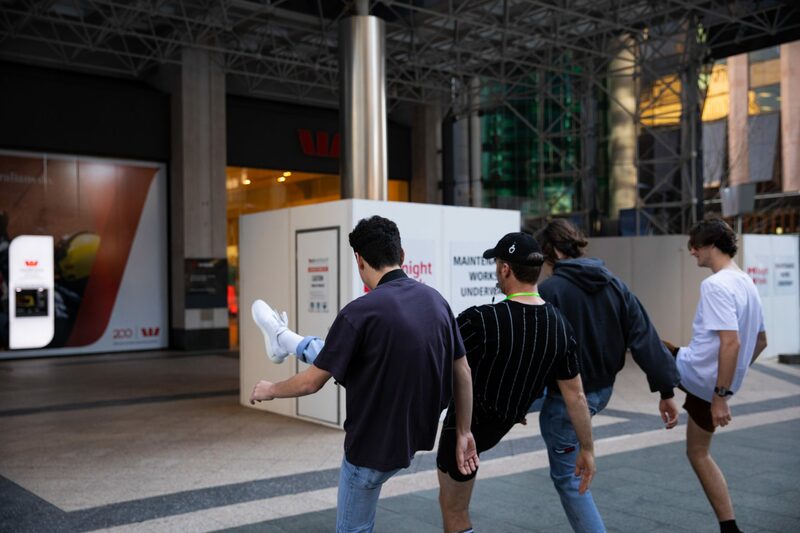 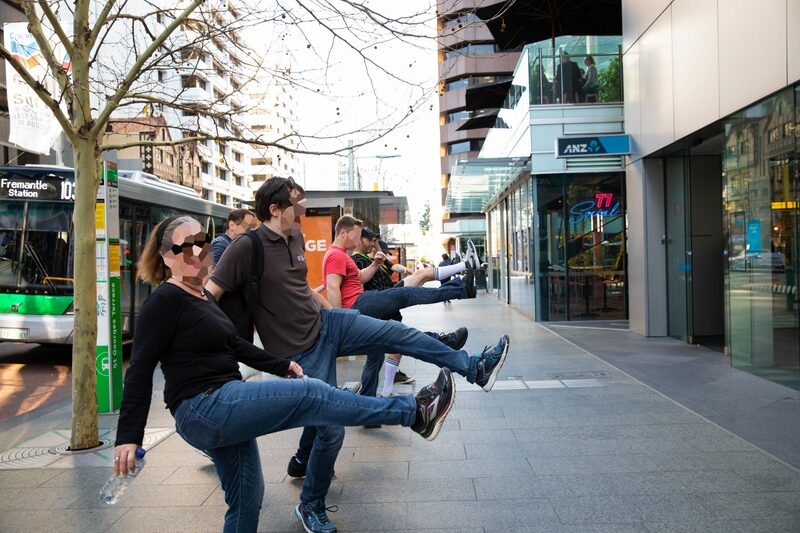 offer general public outside of banks their ‘free kick’ against the foul that has been made. 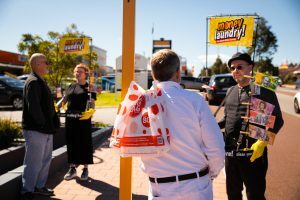 190buckets, perth, wa, september, 2014.
in 2014, australia was holding 1,023 children in on and offshore detention centres. 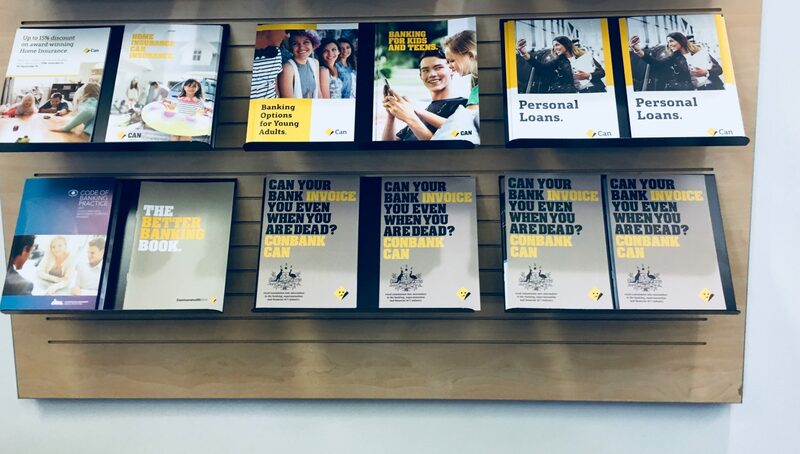 we don’t know their names, all we have is the numbers. 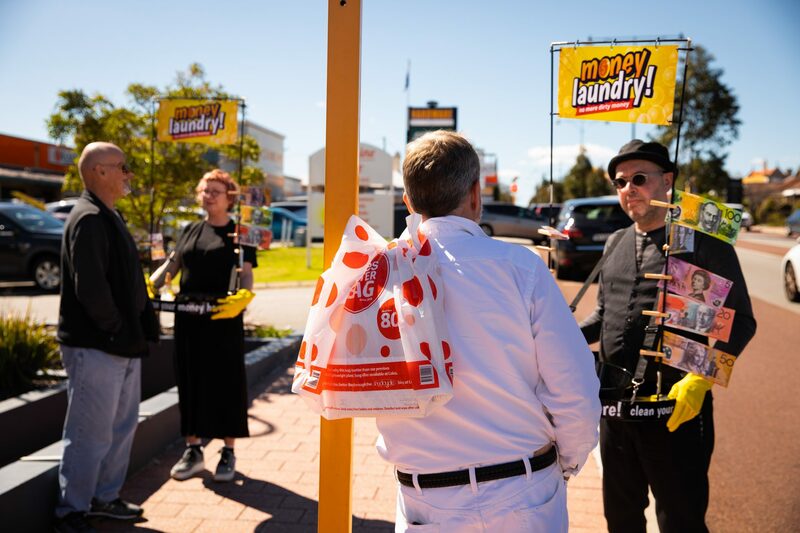 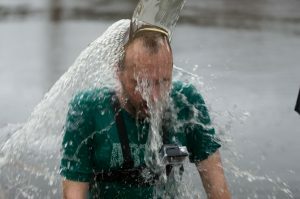 on 29th august 2014 pvi collective and creative comrades withstood 190 buckets of icy cold river water: one for every child held in detention on nauru. 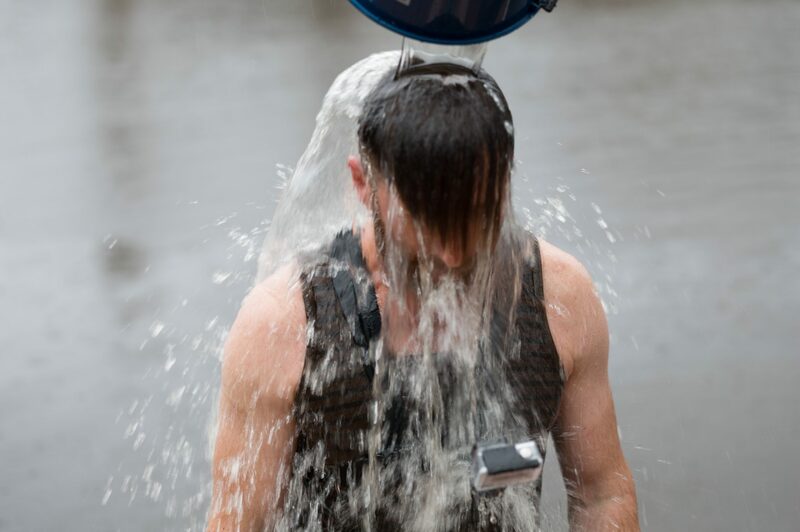 190 buckets was a durational action aiming to give voice to the remaining 833.